Fusion energy promises to supply the world with abundant clean energy by capturing the energy released by joining two nuclei. Research to make this form of energy production a viable replacement for coal has been ongoing since the 1950’s. Significant advances in fusion have been made, however, decades of research has yet to yield net energy production, and many say that fusion is “always 20 years away.” Unforeseen issues continue to make fusion more complex. MIT is now collaborating with Commonwealth Fusion Systems to use Yttrium-Barium-Copper-Oxide (YBCO) superconducting electromagnets to create a compact fusion reactor capable of positive net energy production. YBCO is perfect for the job because it has the unusual characteristic of behaving as a superconductor at extremely high temperatures (rather than at extremely low temperatures like most superconducting materials). This characteristic is ideal for a fusion reactor that operates at very extreme temperatures. Additionally, because they are made in modular sections, the YBCO magnets MIT is developing are easily removed from the reactor. This allows operators to quickly replace malfunctioning or heavily irradiated magnets. Also, these magnets are much smaller (due to the compactness of the reactor design), significantly lowering the cost of creating these reactors. 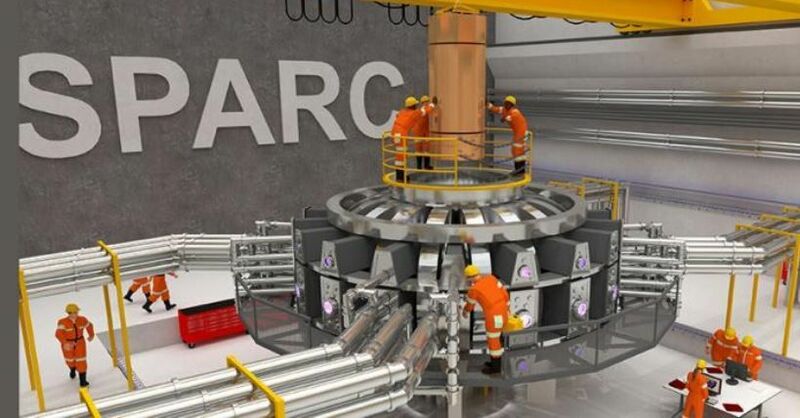 MIT plans to optimize YBCO magnets over the next 3 years with $30 million from Commonwealth Fusion Systems, then create a reactor, named SPARC, that will generate 100 megawatts of heat. This prototype is meant to support research of the International Thermonuclear Experimental Reactor (ITER) currently under construction in France. MIT’s prototype is expected to produce only 1/5th of the power that ITER should be capable of, but it is also expected to be only 1/65th of the volume. This efficiency is mostly due to the superconducting magnets being four times as strong as any magnets used in current fusion experiments. This reactor won’t put electricity on the grid, but it will improve concepts that allow for compact, functional reactors to be built within 15 years. These functional reactors are planned to be roughly twice the size of the SPARC prototype and produce 200 megawatts of carbon-free electricity.